"under rules put in place in 2005" The Cheney legacy lives on. Software: I thought they were also talking about a faulty sensor - regarding upward or downward pitch. 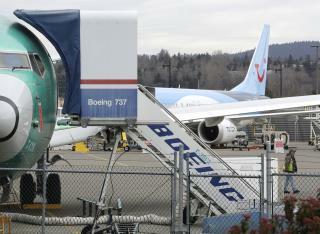 Boeing was in a rush to release the 737MAX ahead of the Airbus A320neo. They were 2 weeks behind Airbus and were working "feverishly" to get the MAX out early. You don't leave issues like this to the manufacturer to decide. Spend more money on the FAA and re-vamp this process.